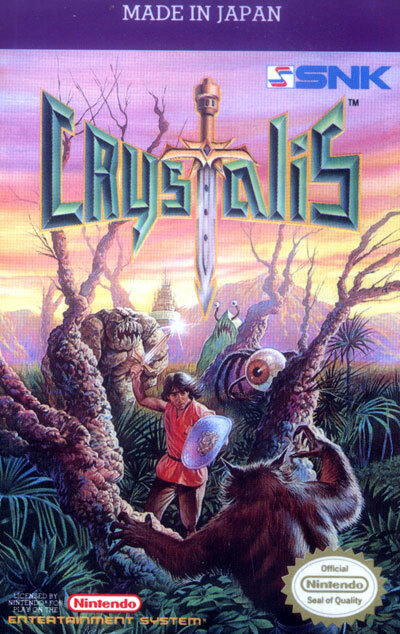 Crystalis takes place in the year 2097, in a post-apocalyptic world, 100 years after a global thermonuclear war has reverted civilization to a primitive, medieval state where science is forgotten in favour of magic and fierce mutant creatures populate the scorched earth. What little remains of humanity has built a weapon of mass destruction known as "The Tower". The construction of this was aimed to prevent any more future cataclysms as its occupants have the power to rule or destroy the world. To combat Draygon, good magicians have created four swords from each of the four elements, fire, water, wind and thunder. If the swords are combined, they create a sword made from a fifth element, crystal. The sword is known as "Crystalis". When Draygon learned of the four swords, he took them for himself. The swords were too powerful to be destroyed so Draygon scattered them across the land.